SMS is the simple and cost efficient way to communicate with your customers. 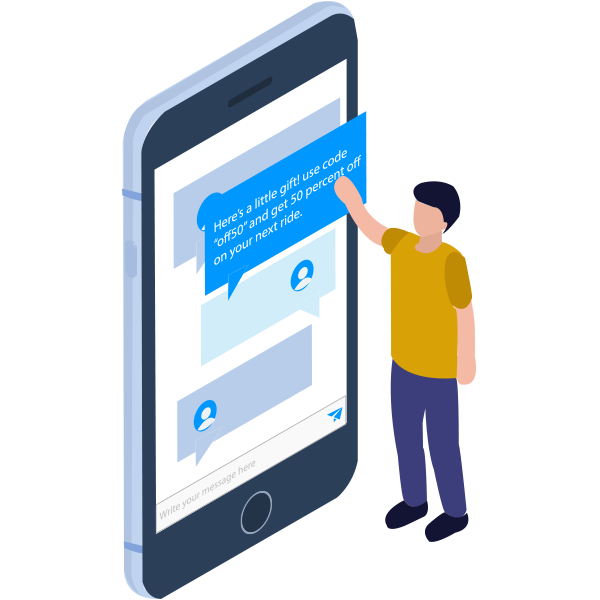 Create contextual, effective communication with our SMS API. Setup your SMS with Yovo in no time.